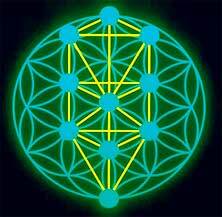 The Sacred Geometry of the ‘Tree of Life’ is fascinating. To find the exact locations and the associated proportions of the ‘Tree’, first draw a circle. Now draw seven circles whose diameter is the length of the radius of that first circle. Place the first of the smaller circles at the top of the large circle between the edge and the center. Lay out all other circles as shown below with the last circle placed in the center (as shown). Note that the circumference line of the second circle will cross through the center of the first circle and the center of the large circle. The same is true for the other outer circles. 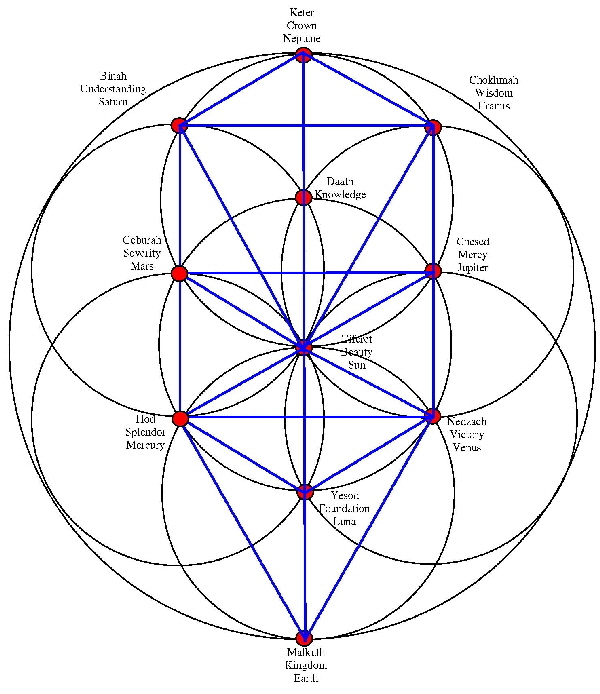 The intersection of these circles represent the 10 Sephirot of the Tree of Life. Note: there is one more point at Daath, which is the void.